Every day we wake up, we have choices to make. We can choose where to spend our time, we can choose whom to spend that time with, we can choose where to place our efforts, our passion, our energy. But, for individuals living with anxiety, racing thoughts make any decision seem cloudy, or worse suffocating. The idea of leaving the house, sometimes just the bed seems unbearable. That’s where we begin, with first steps. For me, some days are easier than others. On tough days, I encourage myself to get out of bed to complete 15 minutes of Sun Salutations (Surya Namasakar) before I convince myself of the day and the decisions ahead. Sun Salutations, are a wonderful way to wake up and start the day. When practiced with purpose and deliberate breath, the slow rhythmic repetition of Sun Salutations can calm the mind and calm the body. But how? Before deciding this is just one more hippie, trying to convince you yoga is the answer to everything, consider this: when a mammal is in a state of “fight-or-flight” or “stressed” hormones are released in the body. Those hormones include adrenaline, epinephrine, nor-epinephrine, and cortisol, just to name a few. These hormones cause the body to increase heart rate, increase blood pressure and increase your blood sugar. Subsequently, the most effective way to calm the body, calm the heart, and calm the adrenal glands, resides in your ability to control your breathing. Wouldn’t you know it, 90% of yoga is breath-work (that may be a bit of an exaggeration, but not much). Ujjayi breathing, (breathing in and out through the nose and back of the throat) also known as “ocean breath”, or for Star Wars Fans, “Darth Vader” breath, is an excellent form of Pranayama. So what does any of this have to do with choices? Choices are something we make every day. We can choose how we prioritize our time, our health, our breath, and in doing so, lead the life we want to lead instead of the life we feel forced to lead. Being deliberate in everything you do in life, including your breathing has a direct effect in the life you choose to lead. If anxiety is something you’ve struggled with, consider choosing to learn a new way to cope with stress and anxiety. 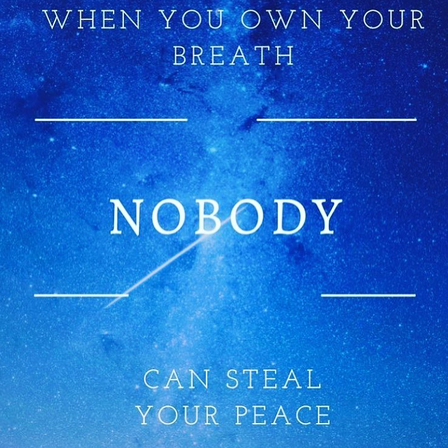 Choose to find your breath, so no one, nothing, can steal your peace. 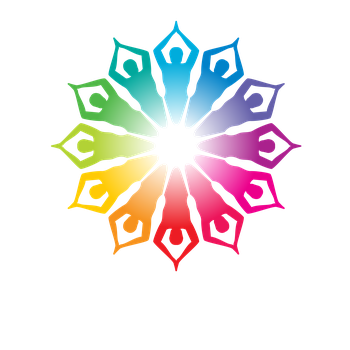 Join a yoga studio to learn more about Pranayama breathing, sun salutations, and meditation.